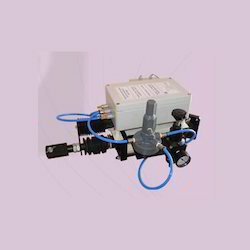 We are a leading Manufacturer of pneumatic positioner from Ahmedabad, India. In a zest to accomplish maximum patron consent, we provide patrons with the best grade of Pneumatic Positioner. Used for providing an accurate valve stem position, the pneumatic positioner is procured from trusted vendors. The pneumatic positioner is used in process control industry and is available with us in various technical specifications. Looking for Pneumatic Positioner ?